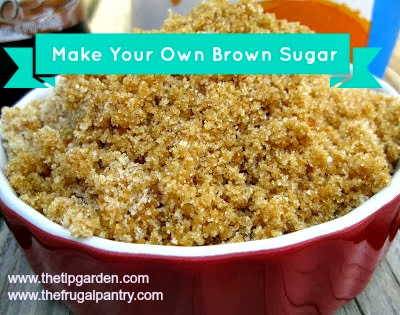 Making your own brown sugar not only saves you money, but only takes 2 ingredients and is super simple! You can make this in small or large batches. It's simply mixing white sugar and molasses. It really adds a richness to your baking that some people feel is better than the store bought. Make it and try for yourself! B) I already have White Sugar and Molasses on hand at home. So why not save some money on my next shopping trip and just make it with what I have on hand? Blend the following ingredients in a blender or food processor till well mixed. Use immediately in a recipe or store in air tight container.